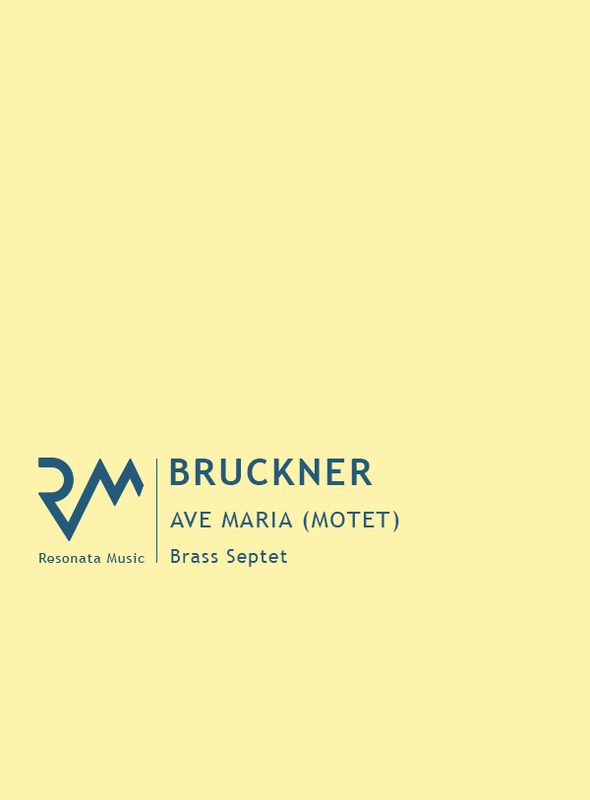 Although Bruckner did not achieve much in the way of fame and acceptance until late in life, this setting of the Ave Maria (gratia plenum) (Hail Mary full of grace) — a mainstay of the Catholic tradition — represented a key milestone in his career, as he made his concert debut as both composer and conductor. 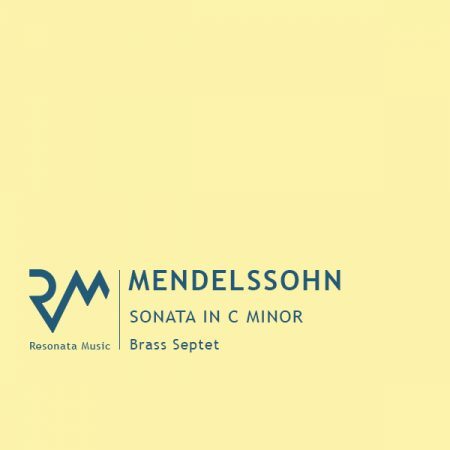 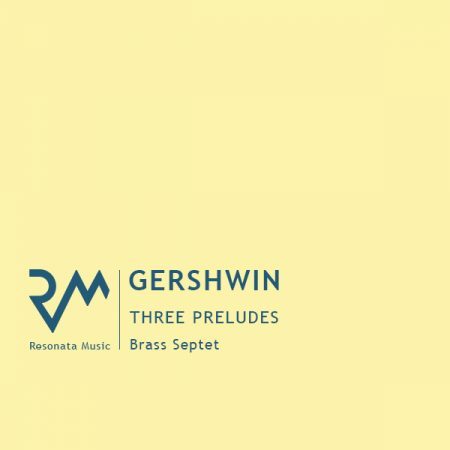 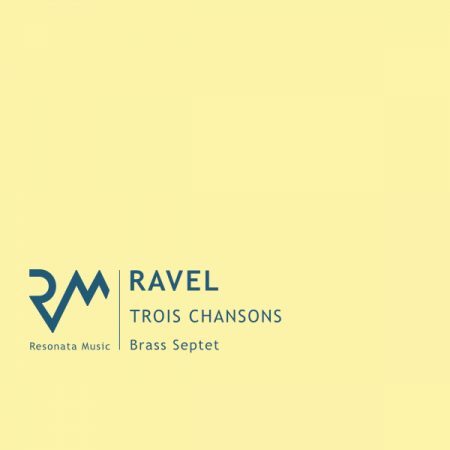 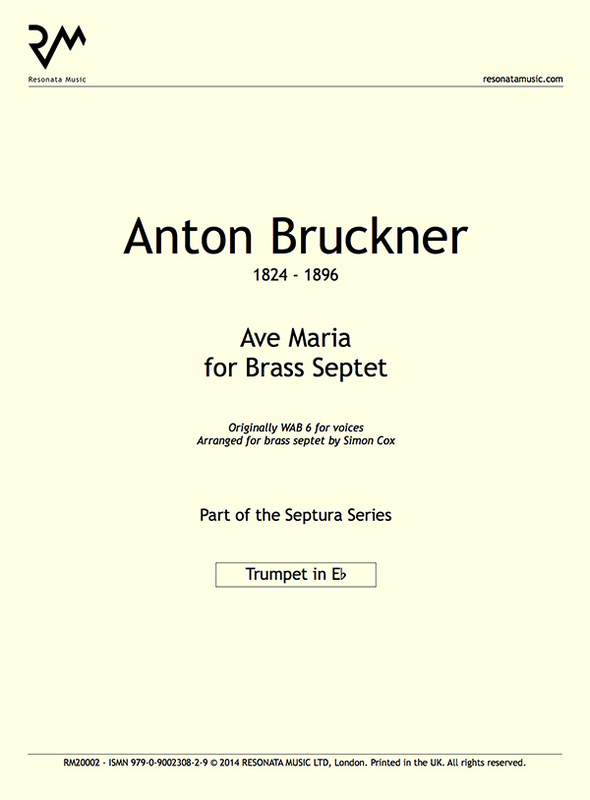 Bruckner alternates passages for high and low voices in the opening bars, and in this version for brass septet the alternation of trumpets and trombones adds an antiphonal aspect. 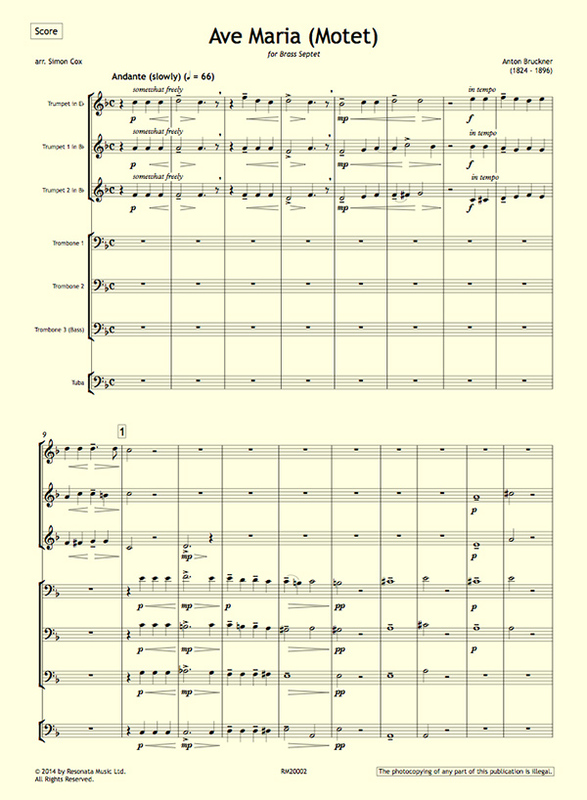 The two groups come together to unleash the full power of the septet for the ecstatic pronouncement of the name “Jesus”, whilst the closing section (“pray for us sinners”) again uses the full group, but in quiet dynamics, creating a rich, blended warmth.